LUCY WILLIAMS INTERIOR DESIGN BLOG: CURB APPEAL: MAKING YOUR FRONT DOOR THE FOCAL POINT! CURB APPEAL: MAKING YOUR FRONT DOOR THE FOCAL POINT! we all want good curb appeal right? 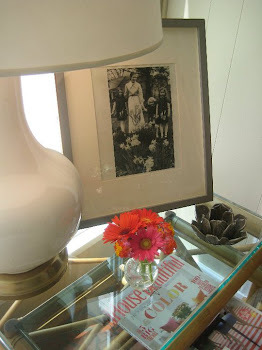 ?even if you think your house is ugly, you can at least dress up the entry area so your eye goes to the good part! okay, the door is what we want to look at and we want lots of good things to frame it out...it's all about making your eye move to the right places!!! pretty door is #1 and if this is not possible, at least remove the ugly ie: metal storm doors, etc. add a nice doormat-i like overscaled ones! now let's frame the door with planters on each side with either topiaries, or planted boxwoods (depending on how much sun you get-sculpted hollies love sun, boxwoods dont).....variagated ivy draping out is fabulous along with some impatients-love it! and if you dont have a green thumb, a kimberly queen fern is always nice in an urn!! here are some great examples of well thought out front door areas that are beautiful!!! Loving your blog so far. I am Taylor Wilson from the Arcadian Lighting Blog, and I would love to contact you about a guest post opportunity on your blog and would love to email. Thanks!